beyond. However, many are not prepared for retirement – many think they have saved enough, only to find themselves living longer than they thought. By the time they realised this fact, they find it difficult to raise money for years to come. Plans for retirement shouldn’t only surface on your mind when you reach your 50s or 60s. In fact, you should start as early as your 20s. Nonetheless, it is never too late to start – just keep in mind that even if you have one all planned out, it is still important to review it from time to time for adjustments. Most importantly, knowing what financial milestones you want to hit helps to ensure that you won’t scramble for them, especially when you are nearing your retirement age. If you have any debts – be it student loans, credit card debts or medical bills, it may be wise move to clear all these debts. There’s no point building up savings if you’re paying more in interest on your debt than you can earn in a savings account. Once you clear these debts, you can then channel your income for your savings and investments in future which could yield returns to build up your retirement funds. We all know how expensive Singapore’s education is – even with subsidies from the government, tuition fees can still be a burden to some families. While it is best to start saving for your child’s tuition fees once they’re born, many find themselves struggling between saving for both retirement and their child’s tuition fee. If you are not ready for both of these and your child is entering the university soon, it may be time to have a rational conversation with your child. One option is to have your child pay a portion of their tuition fees by working part-time, which also helps to encourage financial independence. Investments at this age are important – they are expected to last you past the age of 90. Due to time constraints faced, you may want to consider products that generate a regular income at regular intervals instead of a large lump-sum paid out after a long period. It is best to keep your retirement portfolio balanced for a comfortable life in your golden years. You should review your investments portfolio to ensure that they carry minimal risks as you near retirement age – this means that you need to take time and effort to monitor and make adjustments every now and then, but it will all be worthwhile in the near future. As you enter your 50s, it’s a good time to start thinking if you want to invest in an annuity. Annuity is a type of life insurance policy in which a stream of regular monthly income that is payable to you upon retirement until death. This means the longer you live, the more you receive. You may also consider term life insurance which covers for your death and for your family to gain access to your assets should something happen to you unexpectedly. homes, whereby they can use cash proceeds from flat sales to pay off existing home loans or offset daily expenses. 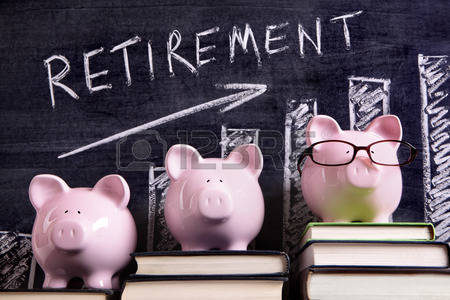 If you are in your fifties and have plans to retire early in your sixties, it may be wise to contribute as much as you can to meet the Minimum Sum for your CPF contributions. If you manage to meet the minimum sum when you reach 55, it ensures that you have regular income from age 65 until the minimum sum is exhausted. It is important to note that the minimum sum is adjusted yearly for inflation, and set to be $120,000 this year. This means that you should plan ahead to see how you can meet the minimum sum. You may top up and build your retirement savings for both yourself and/or your family members using CPF or cash to their Special Account (recipients below 55 years old) or Retirement Account (recipients aged 55& above). Alternatively, you may be exempted from the Minimum Sun Scheme if you have bought your own life annuity using cash, provided the monthly payment received is equal or above the monthly minimum sum payout. Many are afraid to talk about death, but it is important to have a will drawn up in order to allow your loved ones to know your wishes clearly after you are gone. In this way, disputes can be avoided with clear instructions given regarding what you want to do with your money and other assets. Though you do not need a lawyer to make a will, it is better to seek legal advice to avoid the risk that your home-made will may be ineffective or invalid. Some community clubs and legal clinics offer advice for free, so you may seek help if you are not clear of how to go about crafting a will. Have your retirement plans ready – this means you should have enough money in your retirement savings to support yourself and your family. It is also time to work out a retirement budget and determine when you can retire. Most importantly, stick to your savings plan and retirement budget so you can retire when you want to. Though Singapore has set the retirement age at 65, you are strongly encouraged to seek part- time employment if your health allows you. You may want to use a few hours of your time daily to earn some extra money. Living costs are constantly rising, and part-time jobs may help to supplement your savings. Employers nowadays are looking for seniors to take up part-time jobs – because seniors provide more flexibility in working hours. This is one way to stay connected to the society, or you may also want to volunteer and be involved in your community.